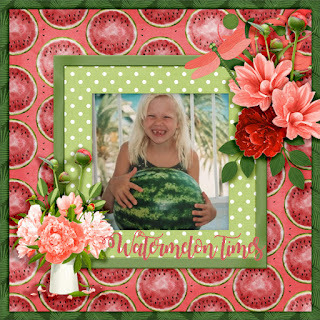 Summer is about to end with school is starting all over the country, however, if you are like me that does not mean you have all your summer photos scrapped! 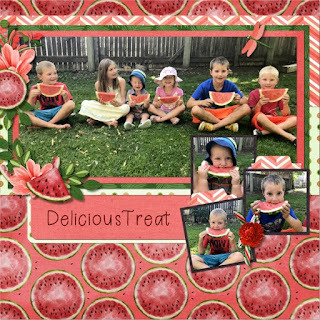 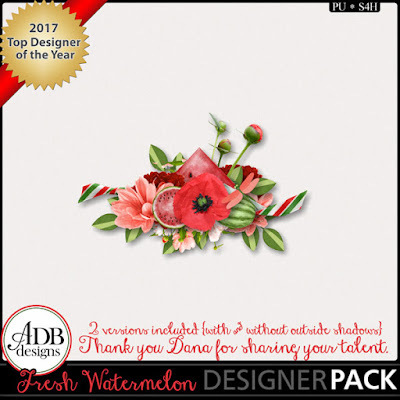 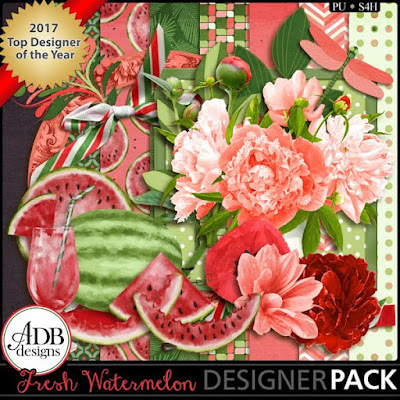 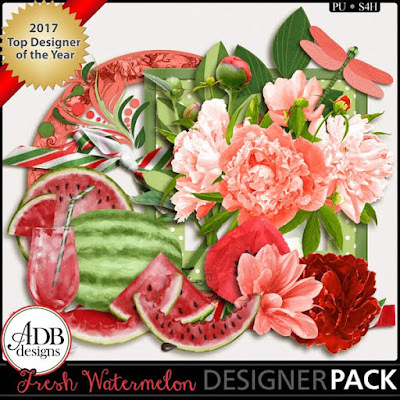 My newest Page Kit, called Fresh Watermelon, is perfect for fun summer photos and will help you get caught up. 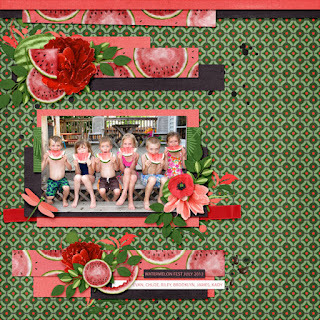 Scrap some of your childhood summer time memories. 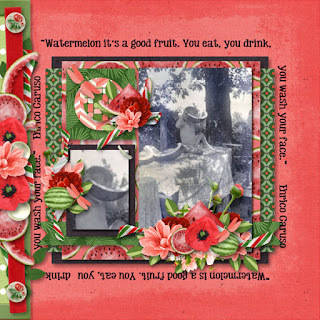 If you don't have any photos to accompany the memory, use embellishments from a kit and just highlight the text of your journaling. 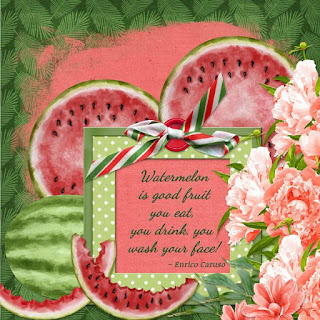 Your story is important. 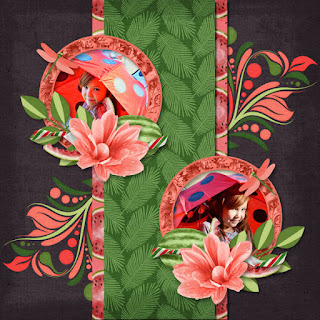 It crosses generations and brings understanding. 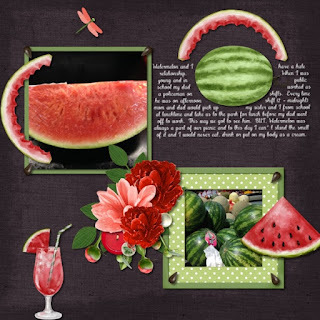 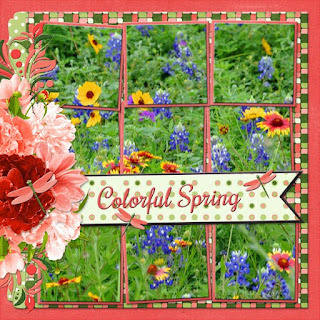 I have a wonderful page starter cluster as a gift to help you get started on your layout. 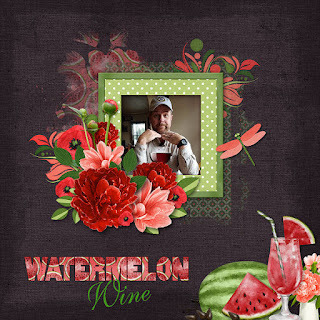 Just click on the preview to go to my store and drop it in your shopping cart. 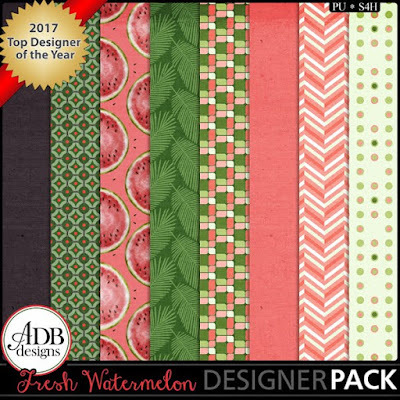 Here are the Fresh Watermelon previews and some examples of layouts from my Creative Team for inspiration.